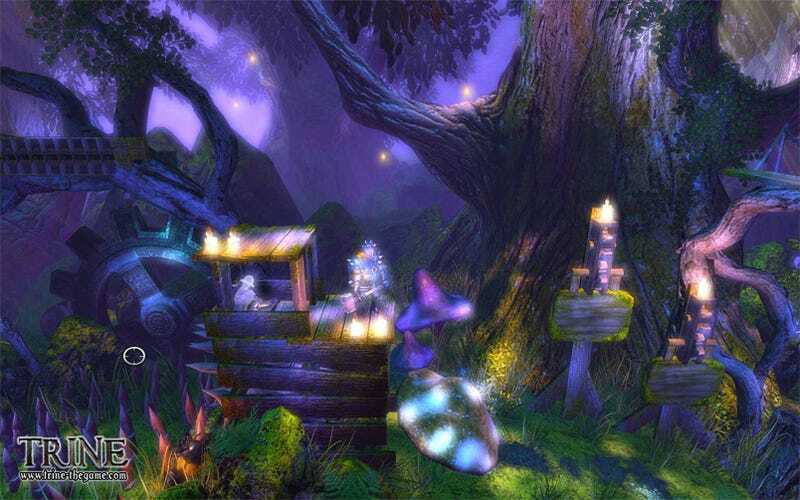 While we've still got a bit of a wait before Trine comes out on the PlayStation Network, we can play the PC version right now, courtesy of the recently released playable demo. The demo comes by way of SouthPeak Interactive, who've picked up the PC publishing rights for Frozenbyte and Nobilis' 2D platforming physics-fest in North America. A mere 461MB worth of downloading now stands between you and a magical journey through a troubled kingdom, swapping between a wizard, warrior, and thief, each bound together by a mystical artifact known as the Trine, n order to traverse the various obstacles placed in your path.